On Tuesday 8 May, an update on the progress of this research project on Mongolian typefaces and new unreleased material will be presented at la Semaine de la Mongolie in Paris. 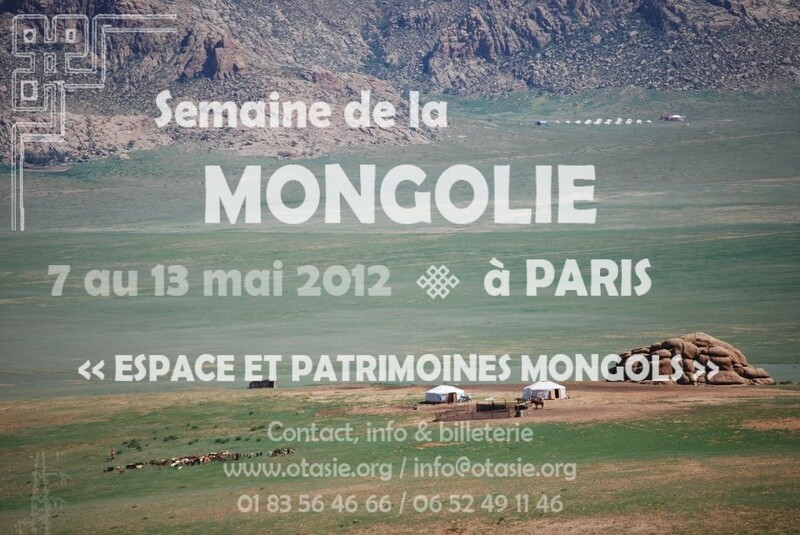 From 7 until 13 May, the thirteenth district of Paris is celebrating Mongolian culture in all its aspects. The symposium, which focuses on ‘Mongolian Space and Heritage’ is organized by OTASIE and includes several exhibitions, workshops, colloquiums, lecture panels, discussion forums, film screenings and concerts. My talk will start on 8 May at 11:00 am in Les Voûtes, 19 rue des Frigos, Paris.